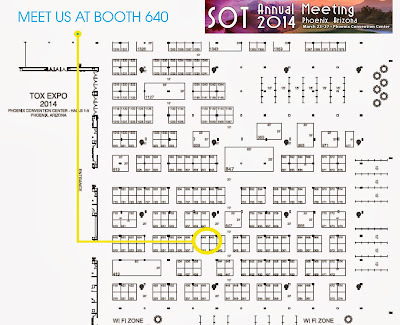 SCIREQ Inc.: Visit us at SOT 2014 in Phoenix! SCIREQ will be at Society of Toxicology’s 53rd Annual Meeting and ToxExpo! Take advantage of this opportunity to see first-hand product demonstrations of our inhalation exposure system, the inExpose, and our platform to assess respiratory mechanics, the flexiVent. Our team is happy to discuss how these solutions may be ideally suited for your research. Visit Booth 640 to learn more! Interested in respiratory mechanics? The flexiVent system has long been considered the gold standard for pre-clinical respiratory mechanics assessments. Utilizing the Forced Oscillation Technique (FOT), the flexiVent system can provide accurate, highly detailed data for a wide variety of pulmonary applications. Our advanced software offers many features to increase speed and efficiency of experimentation sessions and post-analysis. Join us for a discussion about the inExpose or flexiVent systems, our application specialists are waiting!